The old keel that arrived with this canoe is in pretty sad shape, to short, too rotten, etc. So I had to make a new one and get it installed. 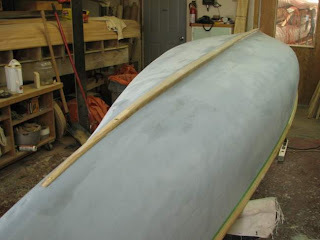 Now that this is done I can start painting the canoe. Posted by Doug Ingram at 10:28 p.m.